PIAA Xtreme White Plus A8 D2 at ModBargains.com. Get Expert Help! Stock light output not strong enough for you? Looking for that brighter, whiter look? 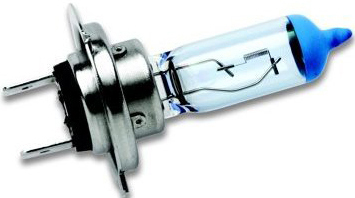 Up grade your stock B5 A4 bulbs with PIAA's very popular Xtreme White Plus technology bulb. Rated at 4000K and providing 110watts worth of light from only 55watts these bulbs will provide a brilliant cool white light that will light up road hazards and street signs long before a normal halogen bulb, gaining you a more classy look and better road safety. Star White bulbs are significantly whiter and brighter than normal halogen bulbs. The Star White bulbs operate at 3800K while normal halogen bulbs operate at 3200K. Star White bulbs feature PIAA’s exclusive XTRA Technology, which increases bulb performance without jacking your car's electrical system. PIAA Star White Bulbs can be used to upgrade performance in headlamps, fog lights, driving lamps and many other applications, throughout the vehicle. Stock foglight output not strong enough for you? Looking for a brighter, more vivid look? 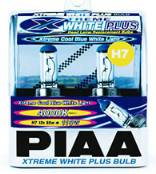 Upgrade your stock foglight bulbs with PIAA's very popular Xtreme White Plus technology bulb. Rated at 4000K and providing 110watts worth of light from only 55watts these bulbs will provide a brilliant cool white light that will light up road hazards long before a normal halogen bulb, giving you a more classy look and better road safety. Star White bulbs are significantly whiter and brighter than normal halogen bulbs. The Star White bulbs operate at 3800K while normal halogen bulbs operate at 3200K. Star White bulbs feature PIAA’s exclusive XTRA Technology, which increases bulb performance without using more of your car's electrical system. PIAA Star White Bulbs can be used to upgrade performance in your fog lights. PIAA lamps are intended for use solely as auxiliary lighting. Lighting laws vary from state to state. PIAA makes no representation or warranty, either expressed or implied, as to the legality of its products for street use on any vehicle or in any location. PIAA lamps are designed to improve visibility during night time motoring and inclement weather conditions. However, irresponsible use of any auxiliary light can be dangerous and illegal. How do I mount this light on my vehicle? All PIAA lamps come complete with installation instructions. If you've lost your installation instructions, simply e-mail Customer Service for a replacement set. 1) The lens may be upside down. The PIAA name must read right side up so the vent on the bottom can drain. 2) The lens/reflector unit may not be mounted tight against the lamp housing. Loosen, then re-tighten the screws. 3) The gasket may be twisted or pinched. Some gaskets have a vent gap.Make sure it's on the bottom. 4) Lamps with a "Snorkel" type wiring grommet in the back of the housing must have the opening facing down. 5) 9O Pro lamps have a vent on the back of the housing in the center. The opening must be facing down. Water leaks through an obvious gap in the sealant or from a loose lens are defects covered under warranty. Can I mount my lamps upside down? PIAA lamps are designed to function properly mounted upright or upside down, as long as a few details are taken into consideration. When mounting your PIAA lamps opposite of their intended installation, remember that lamps with a "Snorkel" type wiring grommet in the back of the housing must have the opening facing down. Also, the PIAA name must read right side up so the vent on the bottom can drain. 9O Pro lamps have a vent on the back of the housing in the center. The opening must be facing down. Proper auxiliary lamp aiming is the most important part of an installation. Refer to the Light Aiming Instructions on this web site for proper alignment. What is the difference between a fog light & a driving light? Fog lights provide illumination forward of the vehicle that enhances visibility in fog, rain, snow, or dust. Fog lights are intended to be used in conjunction with standard headlamp low beams. Driving lights are mounted to provide illumination forward of the vehicle and intended to supplement the high beam of a standard headlamp system. It is not intended for use alone or with the low beam of a standard headlamp system. If my product is covered by warranty how do I get it processed? If a PIAA product is suspected of being defective, it must be submitted freight prepaid, to either an authorized dealer or distributor for warranty inspection. The receipt or other proof of purchase and a description of the problem must be included. The returned product will be inspected. If the product is found to be defective and covered by this Limited Warranty, the sole remedy is repair or replacement, at PIAA's option. A repaired or replacement product will be shipped back at no charge, and will be warranted to be free from defects in workmanship and materials under normal use for as long as the original purchaser owns it. Removal, installation, or reinstallation costs are not covered by this Limited Warranty. Read the Warranty page on the web site for additional information regarding your warranty. PIAA Bulbs are DOT/SAE compliant and are street legal in all 50 states and Canada. This is the third bulb to blow out in four months; why does this keep happening? Bulb failures caused by voltage surges have become more common as new vehicles have placed greater demands on factory electrical systems. The main lamp ground wire must be connected to the battery negative terminal or to a cable leading to it. If a voltage surge occurs, the bulb will look like it was struck by lightning! The metal base & glass will be burnt or the filament will blow up! This Limited Warranty specifically excludes defects resulting from misuse, abuse, neglect, alteration, modification, improper installation, unauthorized repairs, submersion, theft, vehicle crash, or by any other type of impact. Except for the Limited Warranty stated above, there are no warranties of PIAA products or any part thereof, whether express or implied. Any implied warranty of merchantability or any warranty of fitness for a particular purpose is expressly disclaimed. Some states do not permit the disclaimer of implied warranties. In no event shall PIAA be liable for any damages whatsoever (including, without limitation, consequential damages, incidental damages, or damages for loss of use, loss of business profits, business interruption, loss of business information, loss of time, inconvenience, or other losses) arising out of the use, misuse, or inability to use a PIAA product. PIAA reserves the right to change the design its products without any obligation to modify any previous product. This warranty gives you specific legal rights. You may also have other rights that vary from state to state. If a PIAA product is suspected of being defective, it must be submitted freight prepaid, to either an authorized dealer or distributor for warranty inspection. The receipt or other proof of purchase and a description of the problem must be included. The returned product will be inspected. If the product is found to be defective and covered by this Limited Warranty, the sole remedy is repair or replacement, at PIAA's option. A repaired or replacement product will be shipped back at no charge, and will be warranted to be free from defects in workmanship and materials under normal use for as long as the original purchaser owns it. Removal, installation, or reinstallation costs are not covered by this Limited Warranty.